Below: P. 1. 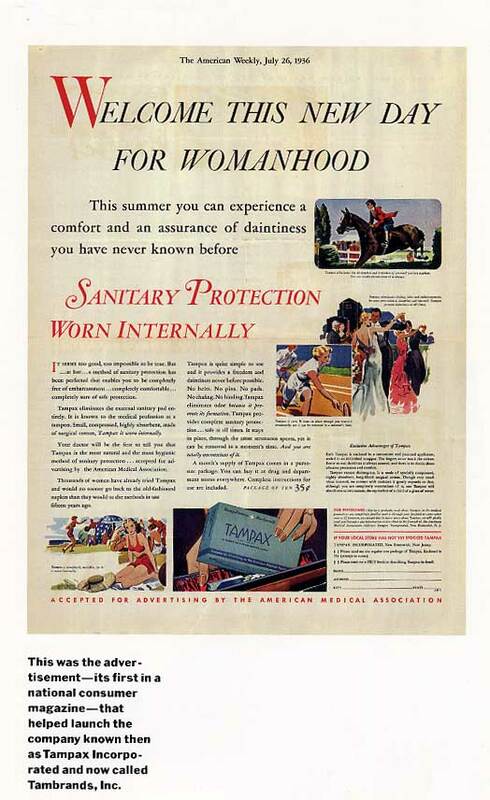 Tampax Inc.'s first ad. See how much it cost, etc. See a readable enlargement of this ad. See an earlier ad from the former company, May 11, 1934. See a readable enlargement of this ad.